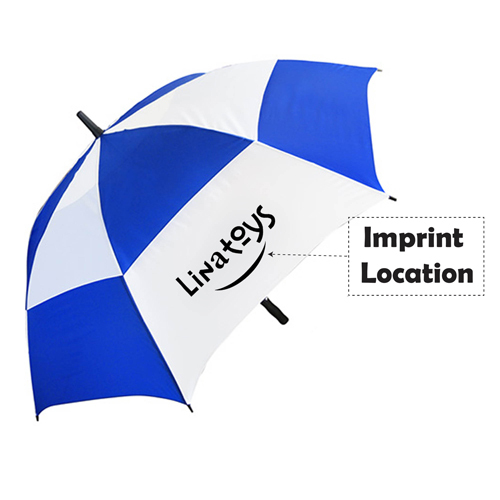 Plenty of space on this umbrella goes to imprints. I think this is very efficient advertising method. The way it performed is perfect for me. The space was duly utilized with my imprints. The space was not a waste and the imprints were of high quality standard. 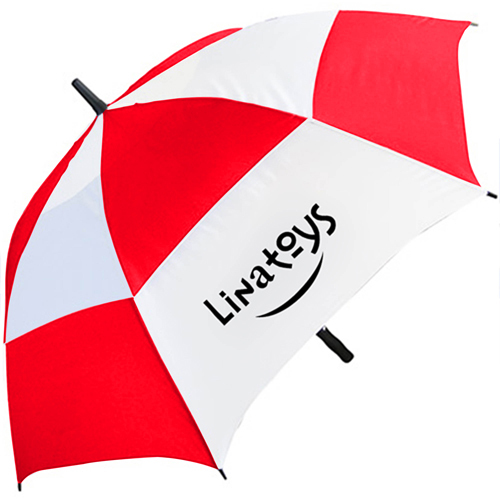 I do business in Ireland :) That means rain and that means the umbrella is the best promo product in our nation. 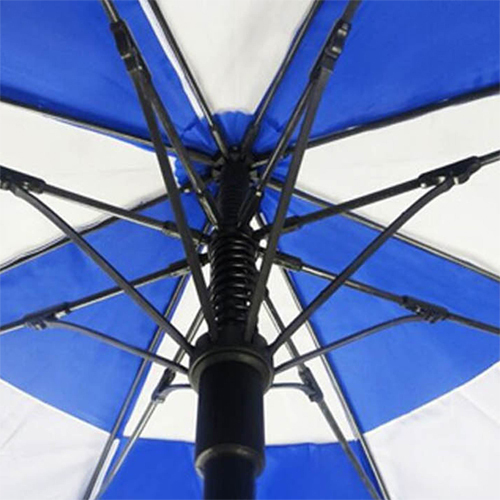 A good brollie at a price far better than I could have gotten locally. 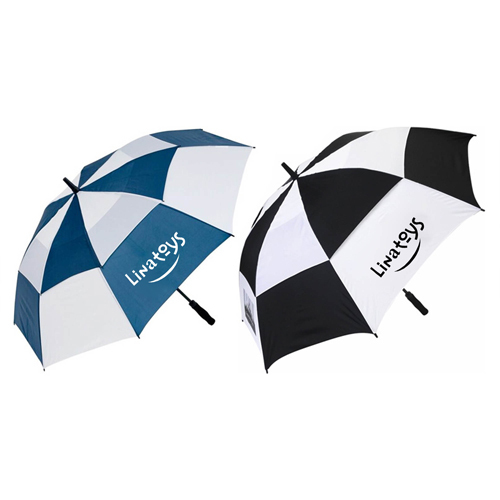 You can benefit from the Dual Color Vented Golf Umbrella even if you are already using other advertising methods. 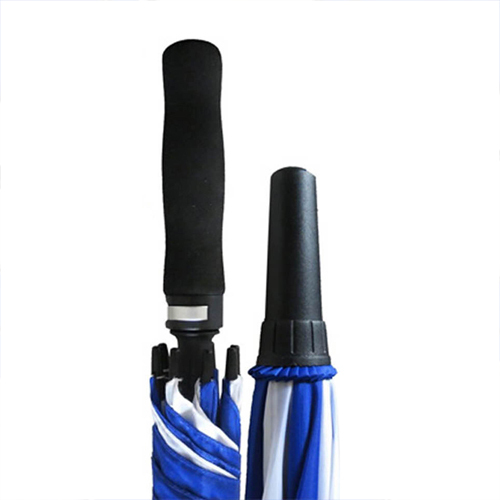 Featuring fibreglass rib, rubber handle, auto-opening, fibreglass shaft, showerproof nylon fabric, superior wind vent system, carry bag and uses such as protecting from sunlight and rain amplifies your company’s message by keeping your logo and company name in front of the prospects.